The Trump administration has approved the sale of lethal defense weapons to Ukraine, but it may come with some blowback from Russia. The U.S. State Department approved a commercial license to export sniper rifles, ammunition and other associated materials that are estimated to be worth $41.5 million. 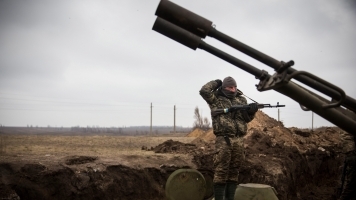 The weapons are meant to help Ukrainian forces fight a Russian-backed separatist movement in the east. Outlets note the approval breaks with the Obama administration's de facto ban on arms sales as well as President Trump's calls for warmer relations with Russia. Russia denounced the U.S. decision saying it would create more conflict.